I have a HUGE treat for you guys today! 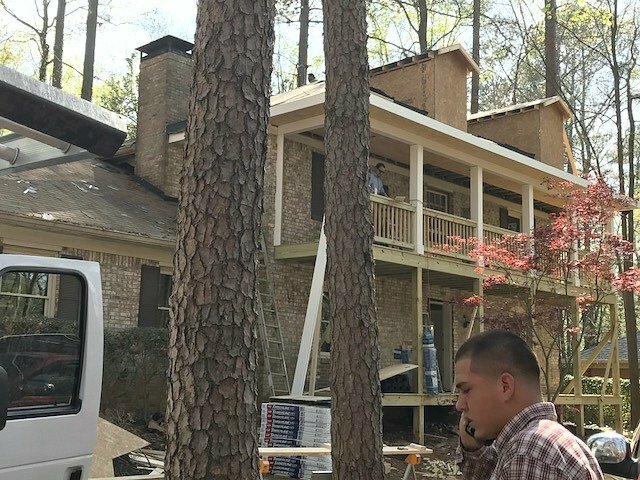 A reader and seriously talented house flipper in Georgia shared the most incredible before and after total home renovation project with me and gave me permission to share the project with you guys. 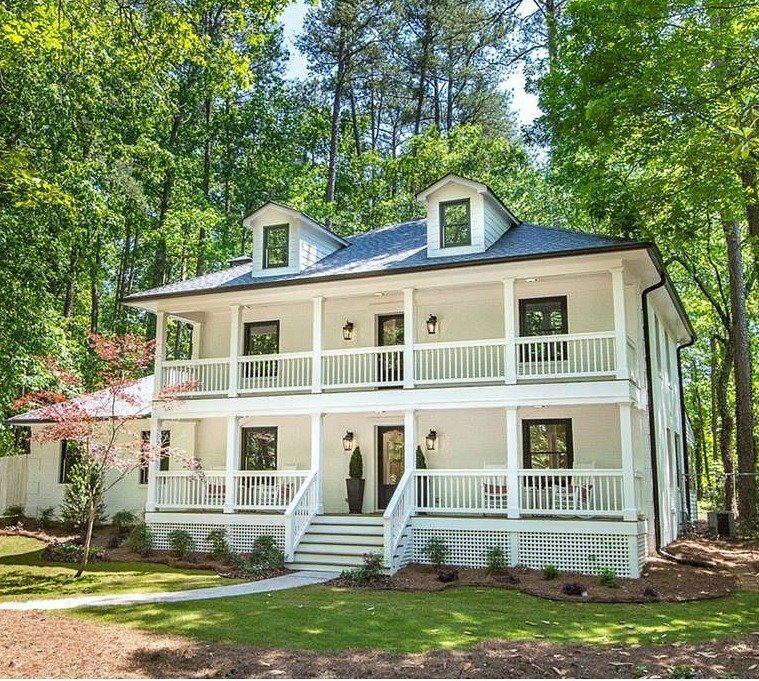 Shay Hansen is a real estate agent, home flipper and pretty much remodel wonder woman in Georgia who recently purchased a run down brick home and flipped it into one of the prettiest homes I have ever seen. The vision that Shay had for this home is really extraordinary and such a great example that the possibilities are endless when it comes to dramatically changing the aesthetics of a home. 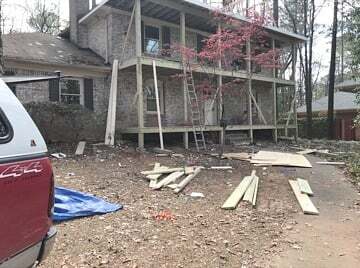 So let’s just jump right into it by showing you the before pictures of the exterior first before the transformation. 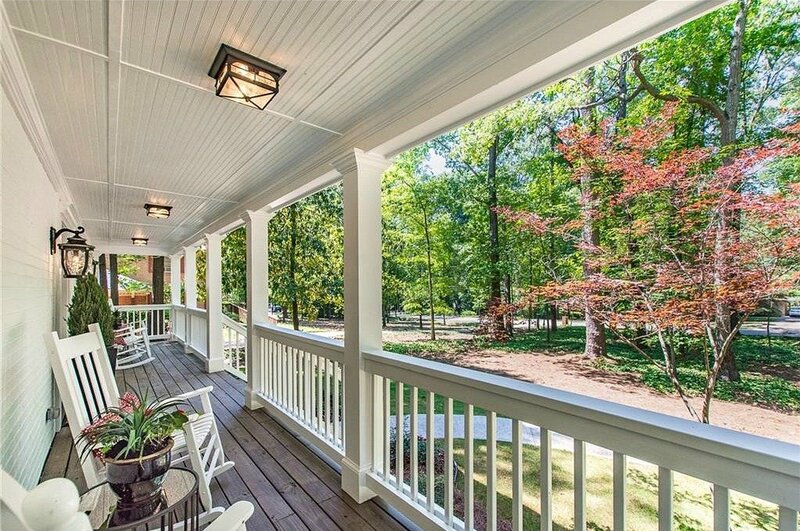 The home is a traditional two story brick located outside of Atlanta, Georgia. And… Here’s the AMAZING after shot when the renovation was completed! Wow!! Can you EVEN believe it’s the same home?! Here’s the before and after picture together for you to really see the differences. My jaw hit the floor when Shay shared this project with me. 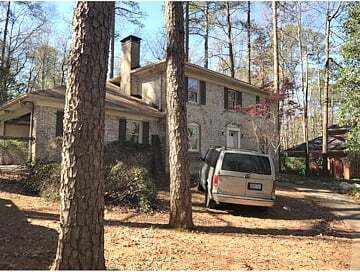 The vision that Shay had for this home and the renovation project is one of the best transformations I have ever seen! I can’t wait for you to see the inside as well! 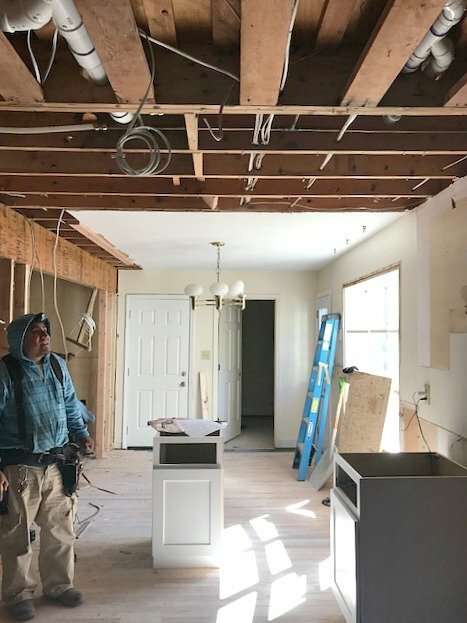 Shay also sent me some progress shots from the start of the renovation. As you can see below, Shay added a porch/overhang on both the first and second floor, which extended the roof pitch. In addition, they added two dormers to the roof. 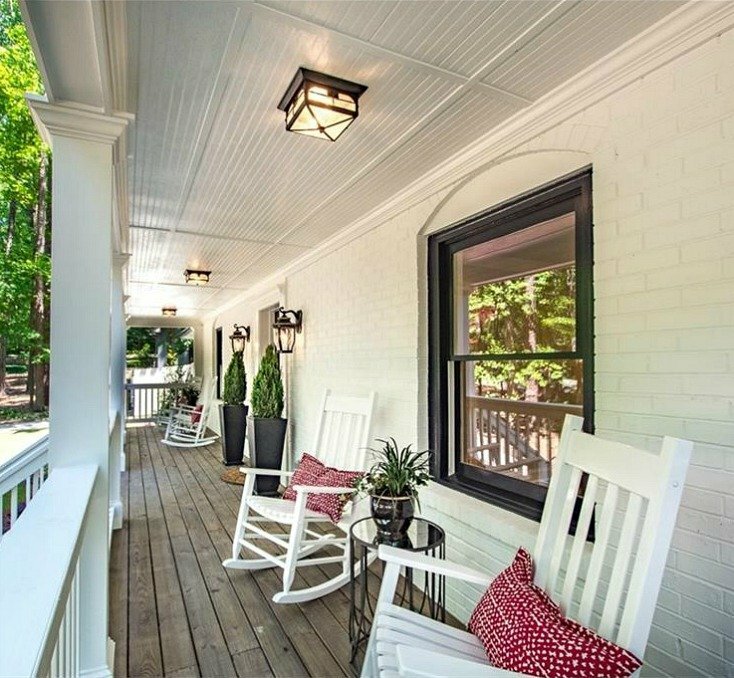 It just blows me away that Shay looked at the front of that home and instantly envisioned two porches. She told me that the home was on the market for awhile and no one wanted it and when she saw it, she immediately saw the possibilities! Wow! It just goes to show you that really, anything is possible! 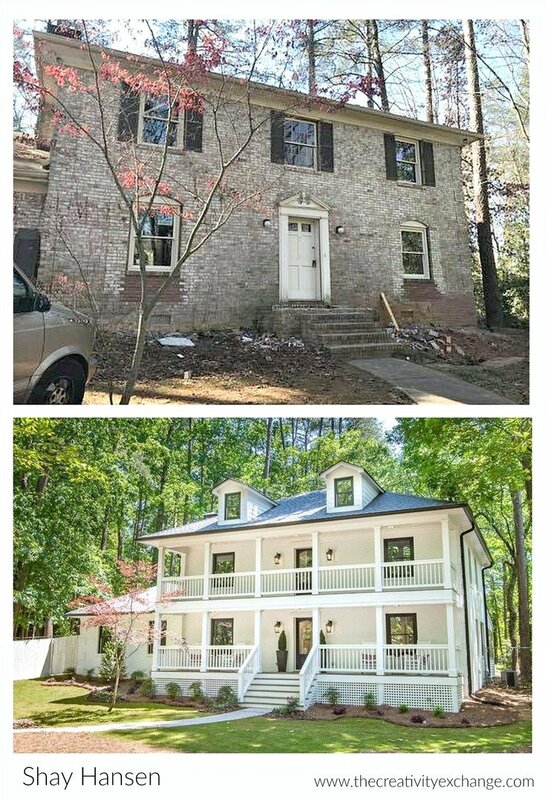 After the exterior renovation was done, the body of the home was painted all one color, which is Sherwin Williams Pure White in a flat. The black trim color is Sherwin Williams Inkwell Black. 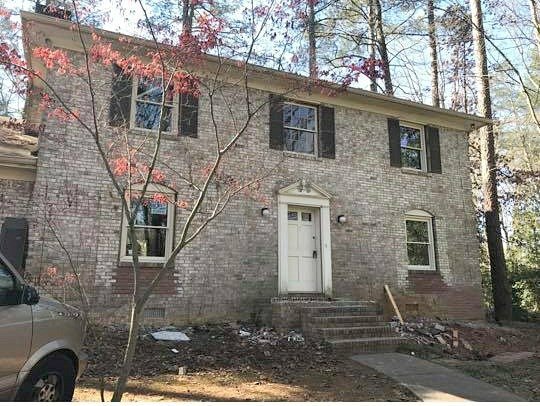 It’s an optical illusion but they did paint the brick- they didn’t add siding (except sides of dormers) or stucco, even though at first glance, it looks that way. 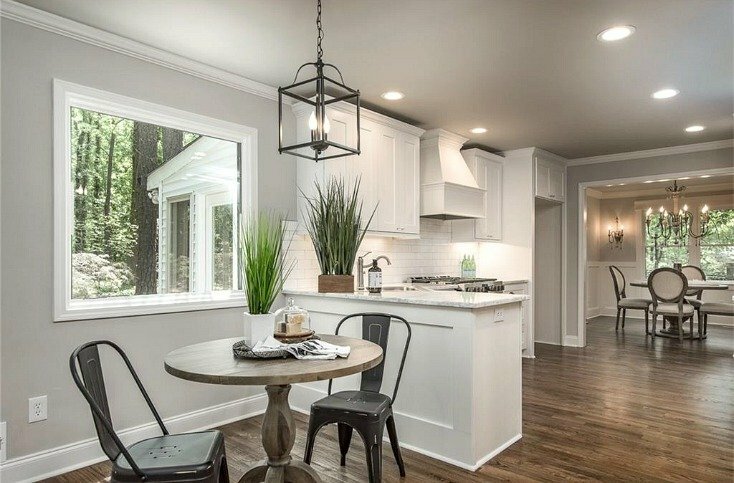 The transformation in the inside of the home is equally impressive! 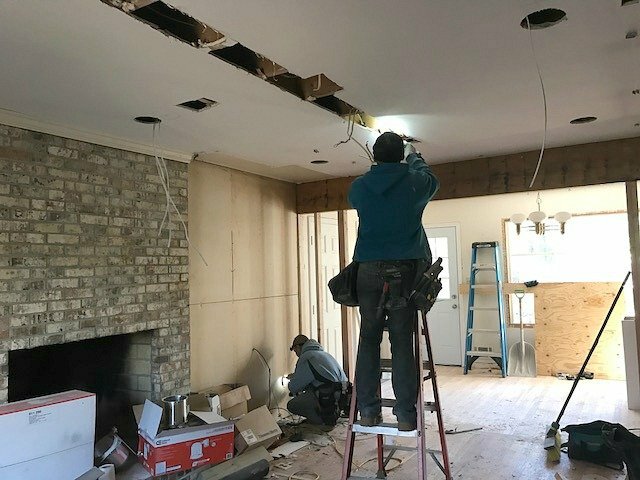 The home was dated on the inside as well and Shay and her team worked their magic knocking down and opening up walls, adding shiplap strategically throughout the home and updating lighting. 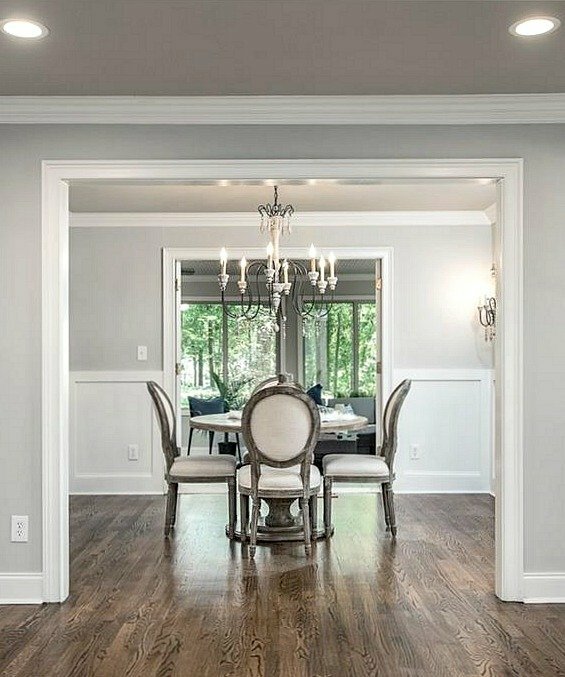 Shay used Sherwin-Williams Gossamer Veil on the walls throughout the home and Sherwin-Williams Alabaster for shiplap and trim. 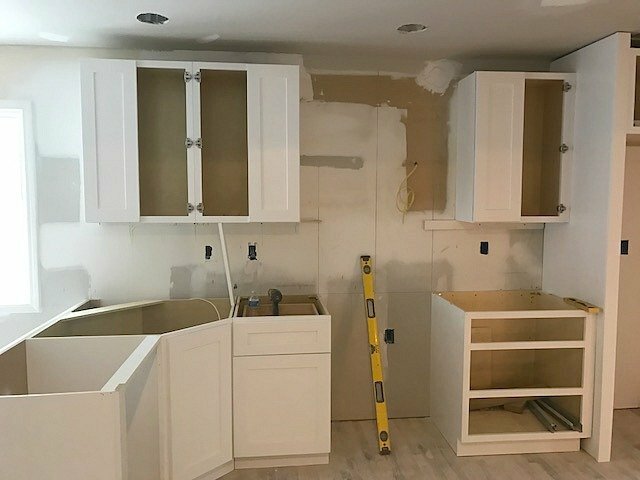 Shay and her team opened up walls in the kitchen and updated it completely with new cabinetry, lighting and appliances. The upstairs turned out so beautiful. Shay continued to carry through Gossamer Veil by Sherwin Williams on the walls in the upstairs (Alabaster is trim color). The master bedroom turned out so amazing! 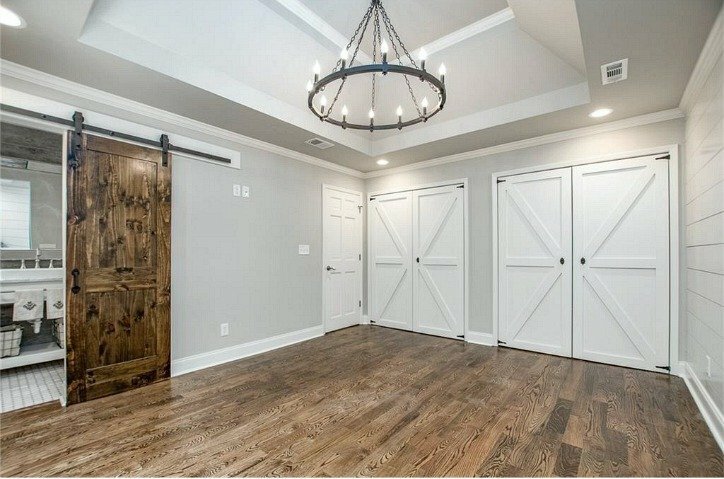 Again, Shay has really added beautiful touches everywhere from the lighting to the millwork and that sliding barn door is perfect. 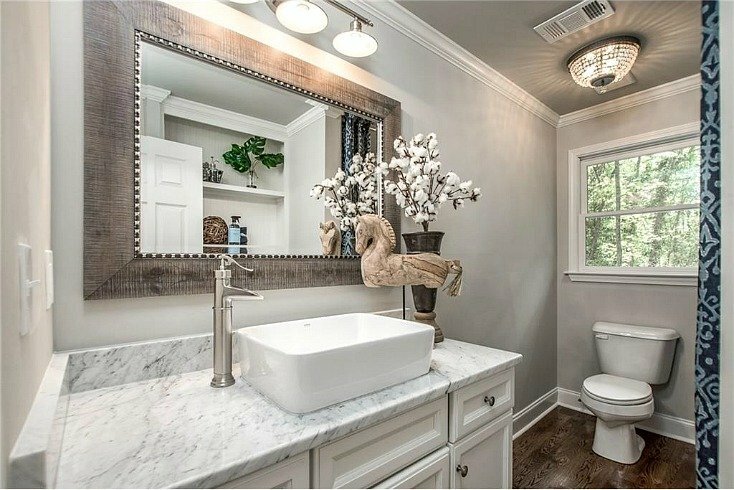 The upstairs bathrooms are stunning! 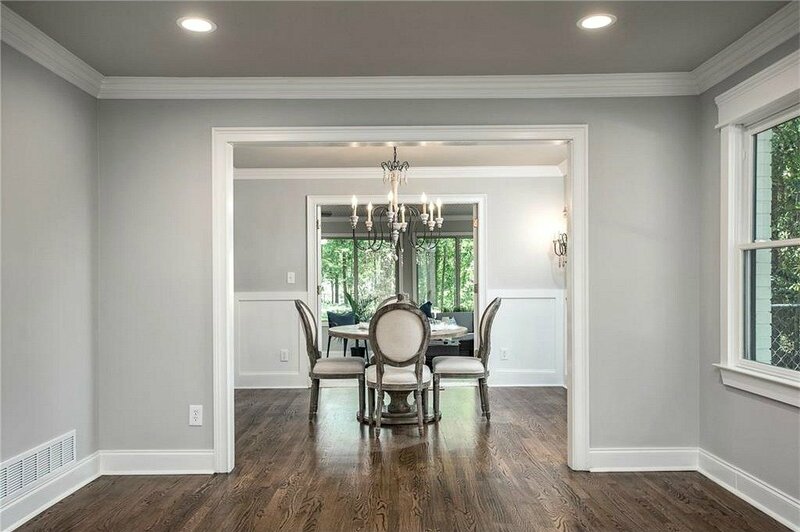 I still cannot get over what an amazing job Shay and her team did on this major renovation. Shay just set up a Facebook page here to begin sharing her projects if you want to follow along with her. Talking with Shay about this project was such a treat for me and I told her we would love to see more of her other projects that she has done. You know they’re amazing! Hopefully, she’ll share more projects with us soon! A huge thank you to Shay for sharing this incredible project with us! I am so amazed and inspired by this project! What an amazing transformation! Beautiful! 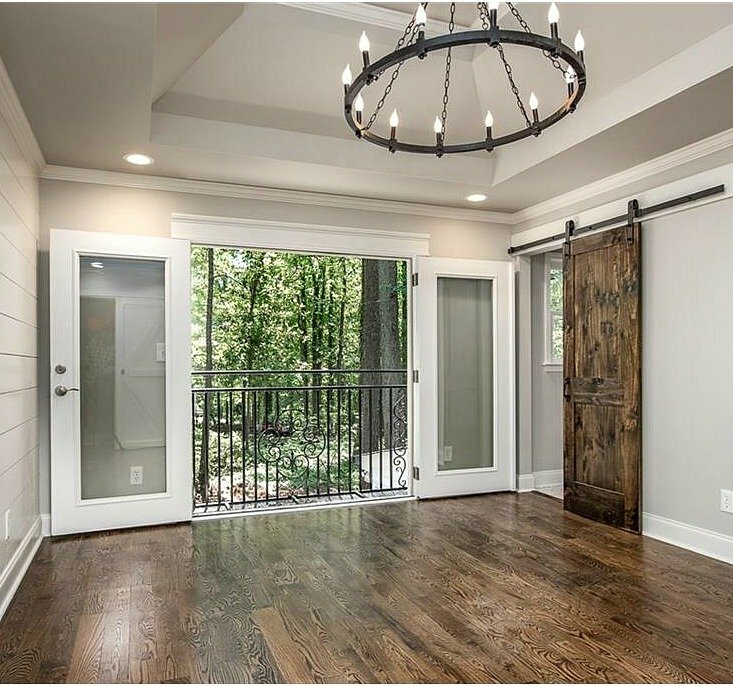 What type of flooring was used throughout the home? What an amazing transformation! Beautiful! 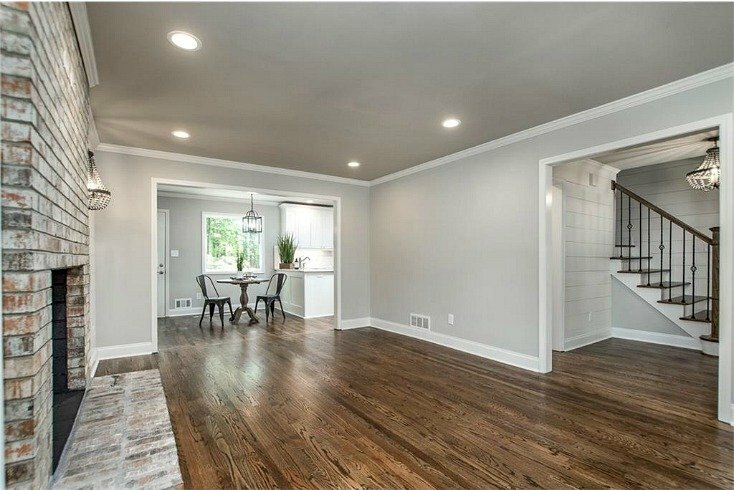 What flooring was used throughout the home? 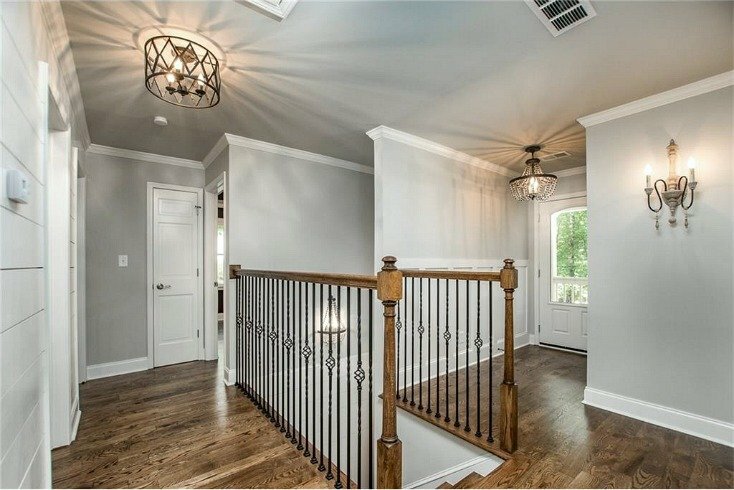 I would love to know the ceiling color used throughout the house. 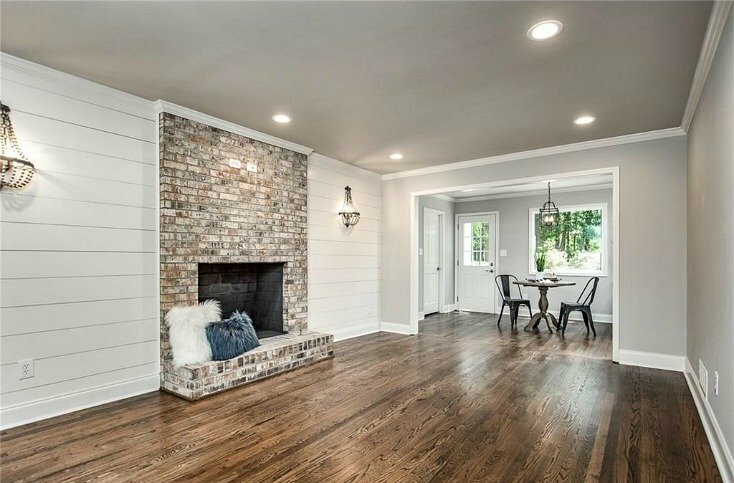 Gorgeous remodel! That’s one talented lady. Perfection!!! Gorgeous! Are the ceilings also painted Gossamer Veil? The floors are beautiful. Do you know what she used for them, please? Ceilings and walls are both flat Gossamer Veil. The floors are 3/4 inch red oak hardwood floors, Minwax dark walnut stain with two coats of satin poly. ? Minwax dark walnut stain with two coats of satin poly. ? 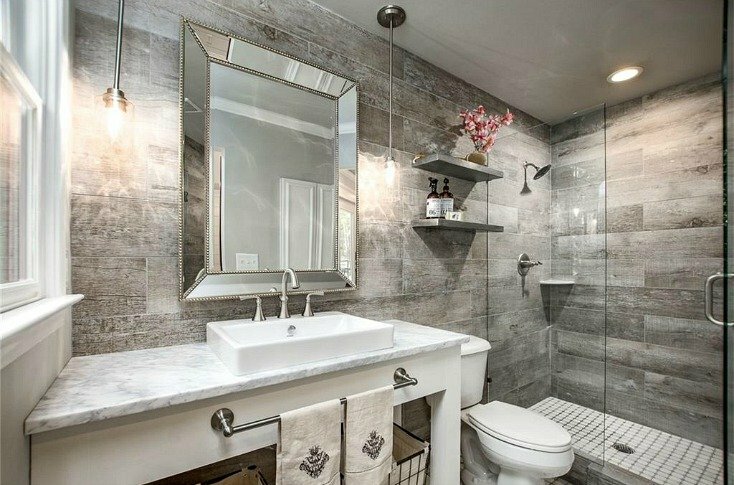 what is the bath and kitchen tile? What color is on the ceiling? 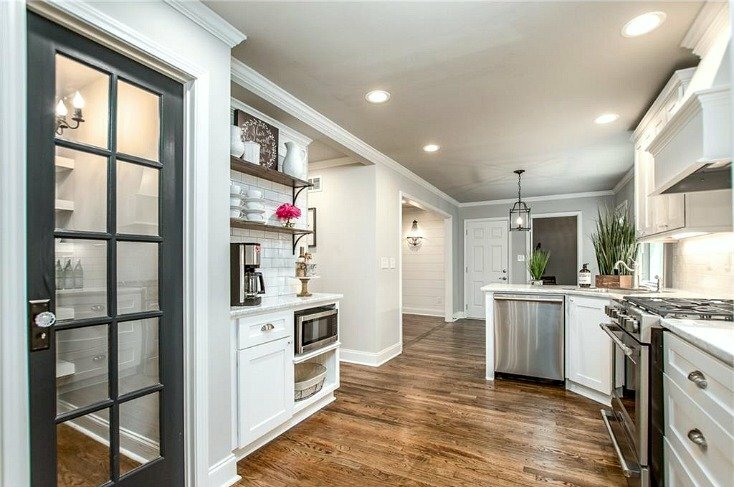 What is the color door in the kitchen? Guessing it’s a pantry door. Beautiful!! 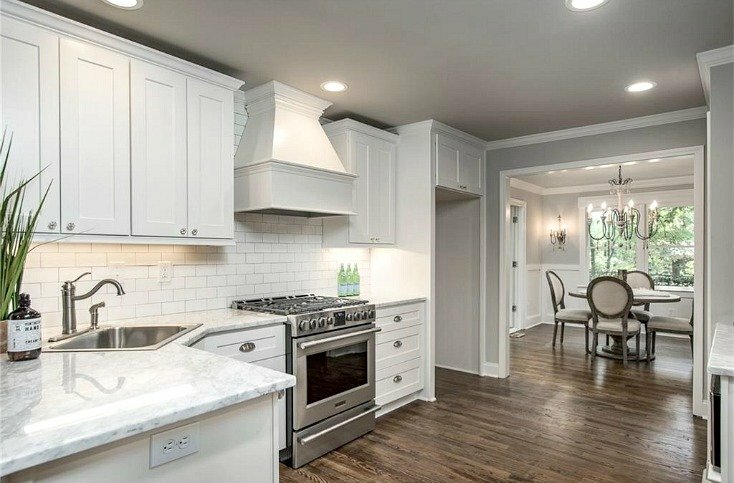 I am very curious to know the color used on the kitchen cabinets. Is that Gossamer Veil as well?